This example demonstrates the feature of histogram matching. It manipulates the pixels of an input image so that its histogram matches the histogram of the reference image. If the images have multiple channels, the matching is done independently for each channel, as long as the number of channels is equal in the input image and the reference. 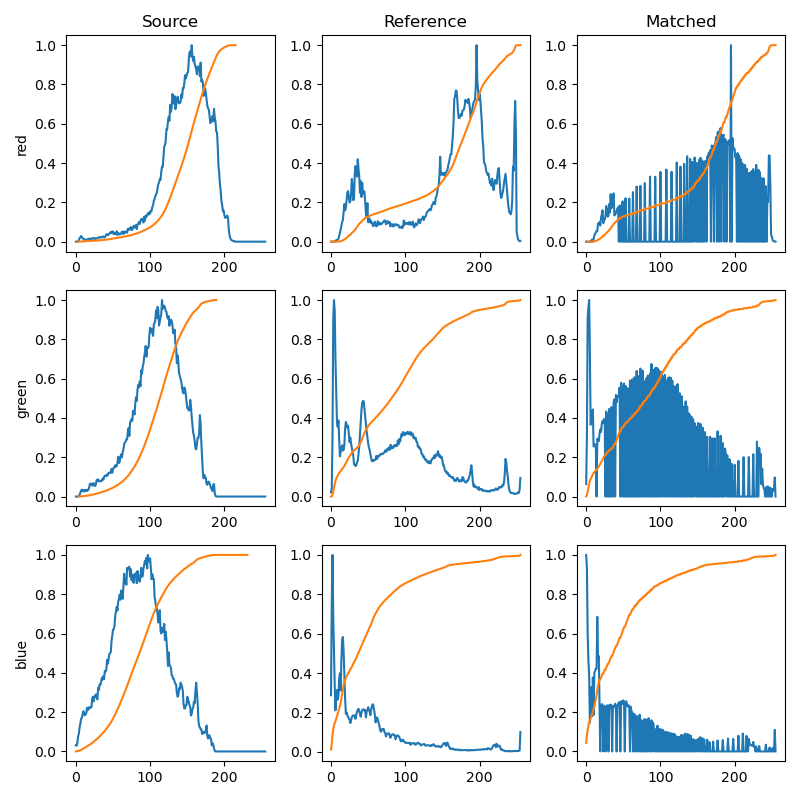 Histogram matching can be used as a lightweight normalisation for image processing, such as feature matching, especially in circumstances where the images have been taken from different sources or in different conditions (i.e. lighting). To illustrate the effect of the histogram matching, we plot for each RGB channel, the histogram and the cumulative histogram. Clearly, the matched image has the same cumulative histogram as the reference image for each channel.